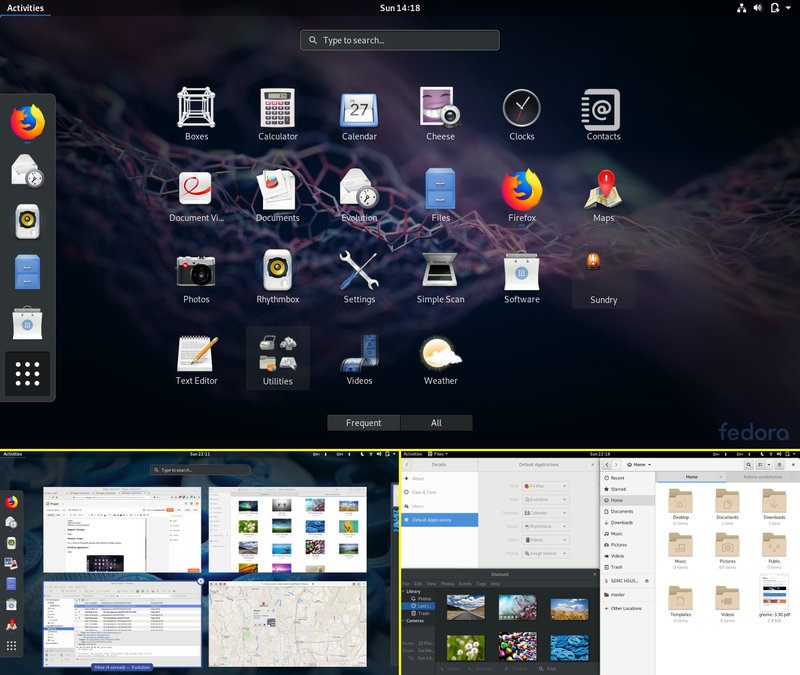 GNOME 3.30 "Almeria" has been released at 5 September 2018 as announced in mailing list by Matthias Clasen. This version is a Stable version after 6 month development with GUADEC 2018 conference at Almeria, Spain. 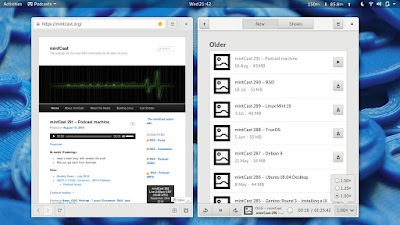 It brings improvements in its core apps Files, Games, Boxes, Settings, Builder, and it adds new app called Podcasts. In short, the 3.30 is a very attractive and comfortable desktop to use in mid-high computers with RAM 4GB or more. 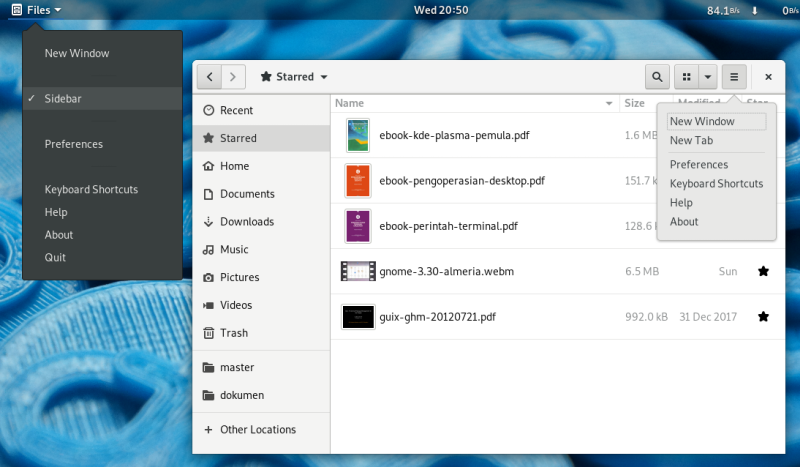 Also, Builder makes GNOME 3.30 amazingly easy for everyone to contribute back to GNOME Project. 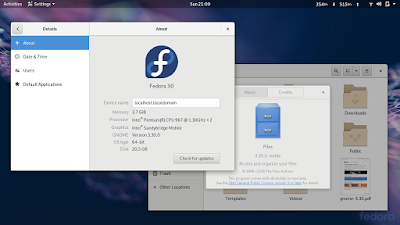 I tested GNOME 3.30 on Fedora Rawhide (as per 15 September 2018) as Ubuntu users still need to wait until 18.10 released. Thanks to all GNOME Developers and Contributors for bringing this awesome version. Here's my review. Enjoy! On GNOME 3.30, nothing changed on its visual appearance. It's still the same like before (3.28 and 3.26). Ubuntu user may wants to see GNOME 3.30 in 18.10 "Cosmic Cuttlefish"
On Fedora Rawhide, after fresh installation, it's +/-1.1GiB on Wayland session and +/-1.3GiB on Xorg session. 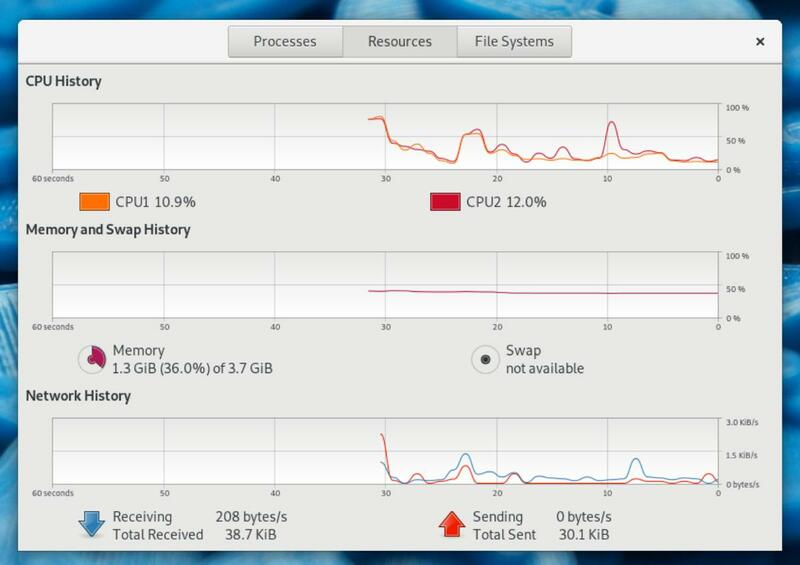 I find that Xorg session is stable for me while Wayland session is very-very slow in performance. 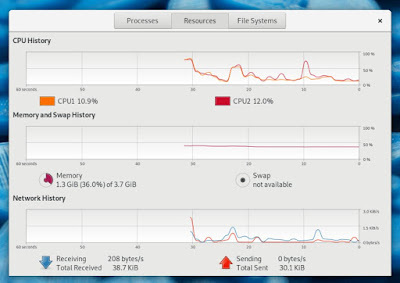 But surprisingly, it's only +/-750MiB on openSUSE Nightly Build on Xorg session. 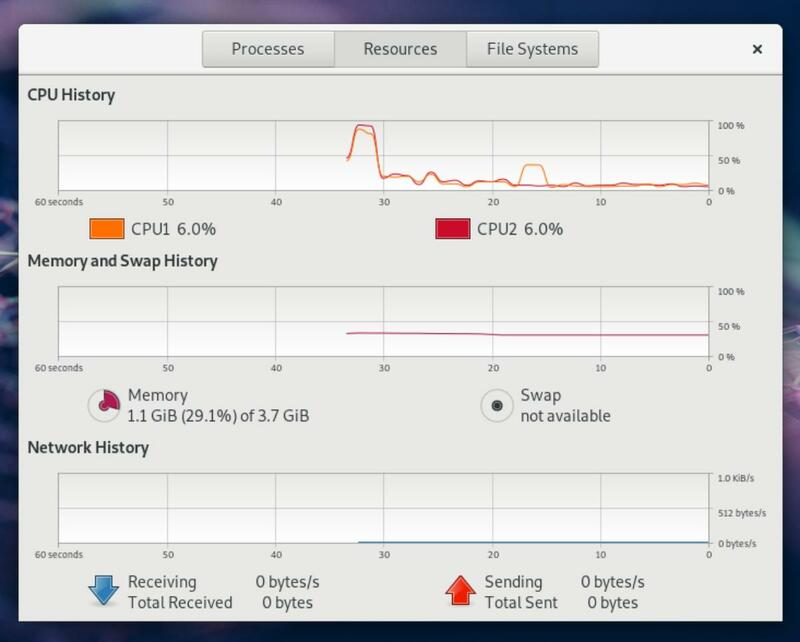 Surprise, same GNOME 3.30 on openSUSE Tumbleweed takes only 750MB, far less than on Fedora or Ubuntu. New 'Reader View' mode! It's an open book logo on the address bar that is available when you visit a supporting web page. 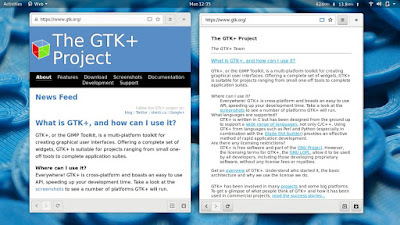 For example, see picture below, the Web reading GTK+ Project website both in Normal and Reader View Mode (left and right respectively). Welcome to the new program: GNOME Podcasts. This is a player for internet podcasts which can save channels, download the podcasts, and of course play them for you. If you are fan of Linux Action Show (LAS), Linux Unplugged, MintCast, or such podcasts, you will feel like home with GNOME Podcasts. Just press + button and paste a podcast RSS URL like http://feed.ubuntupodcast.org/ogg/. The Games got improvements in customizing keyboard as gamepad and inclusion of more abilities to emulate more retro games. 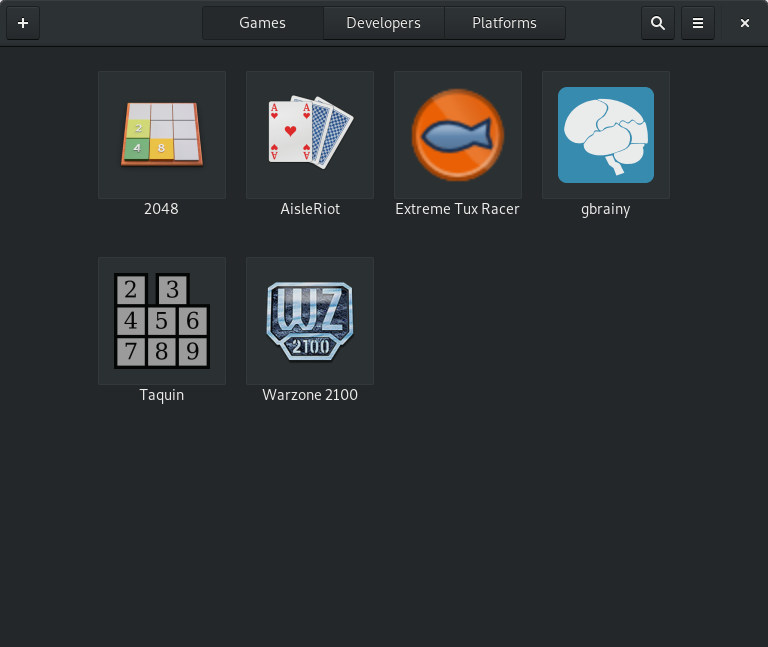 I tested this on openSUSE Nightly Build, when you have installed native games (Warzone 2100, gBrainy, Extreme Tux Racer, etc. from official repo), they appear on the Games. GNOME Games --in simple way-- is an universal game emulator to run games from PlayStation (.cue & .bin), SEGA (.cue), Nintendo NES (.nes) and Wii (.wii), Amiga, Atari, etc. It also can play LOVE and Libretro games. Read more about its support here. To be precise, the thing that does the real emulation is Libretro behind while the Games acts as a user friendly manager. 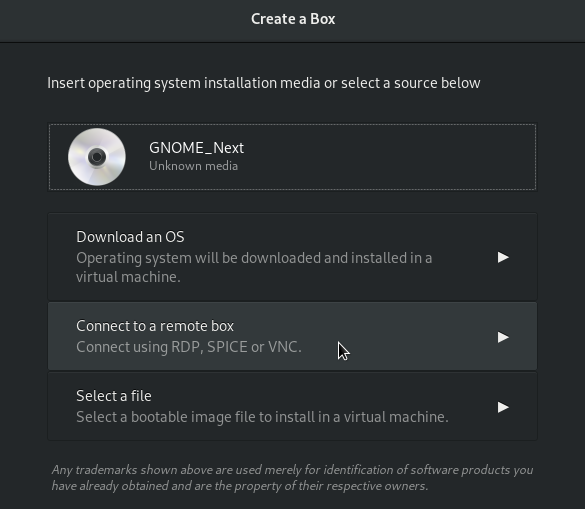 GNOME Boxes got a new RDP, SPICE, and VNC remote desktop support. This means, for example, now with a GNOME computer you can control your Windows 10 computer from afar by enabling RDP server on the target and finally connect to it. This is not limited to Windows, as the target OS can be any other OS (including macOS and GNU/Linux) which supports RDP, SPICE, or VNC protocol. The address bar (or, path bar) now has been redesigned to make us easier to navigate files and folders. Notable thing is the menu in each path like picture below. And once again, the second button on the toolbar changed. Now it's a combo button with 'Last Modified' et al options. Finally, the hamburger button (most right one) now changed to bear more or less same content as Nautilus' top bar menu button. 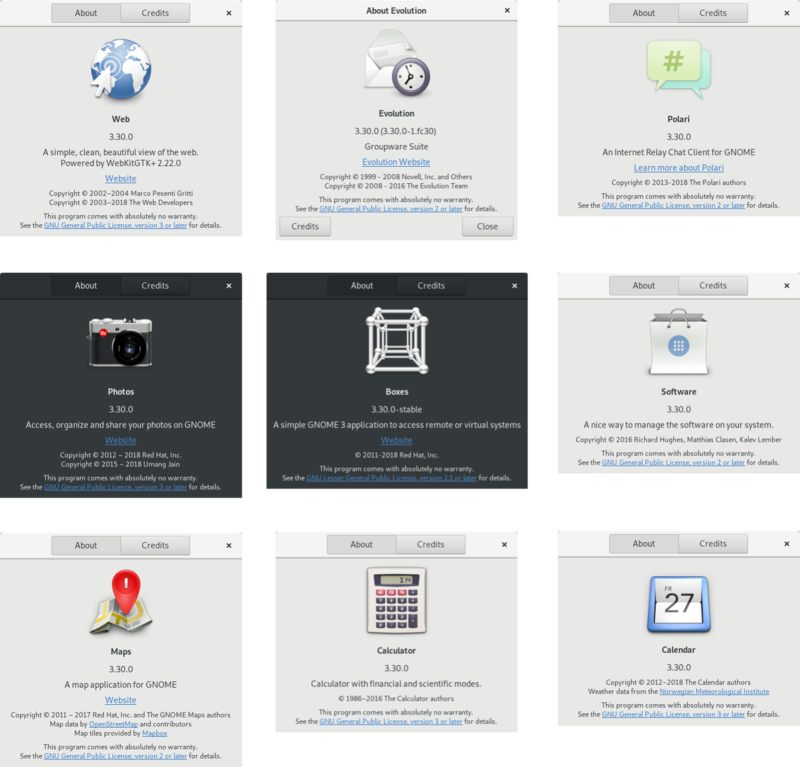 What I like the most of my first time running Builder 3.30 is the welcome screen offers some GNOME Applications (Nautilus, Rhythmbox, Boxes, etc.) to enable us download each source code and contribute back to GNOME Project. 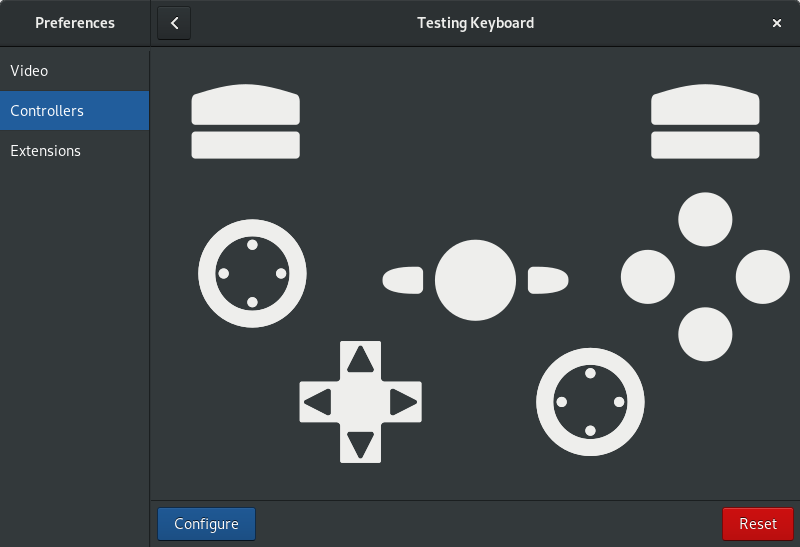 Honestly I'm not a programmer, but I believe anyone knows to code longing to code back to GNOME will really like this. See picture below. Selecting one offered program above --say, Nautilus-- will import the source code from its official Git repository and enable you to build the program or make Flatpak package from it. Yes, with only one click. This is very cool, I have never seen any other IDE of other Desktop Environment opens a way to contribute as easy as this. Here you see my demonstration of opening one offered program (Nautilus) and then build the downloaded source code and run the program. See below, it's Nautilus built by the Builder. 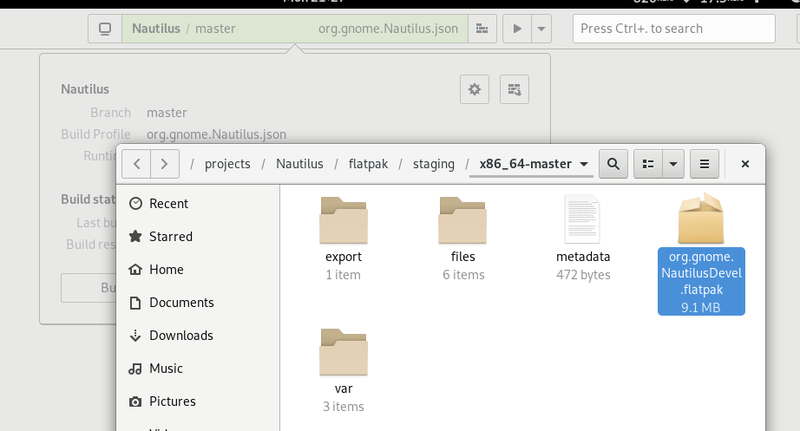 Here's example of a 9MB Flatpak package of latest Nautilus built from source code by the Builder. It's only one click to produce this. How cool! 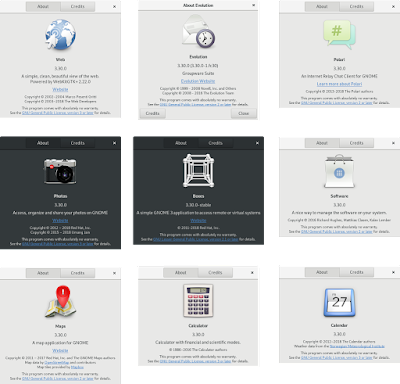 The control panel got a new Thunderbold setting under Devices section. This meant to be used mainly on Apple computers or another devices with Thunderbold ports. 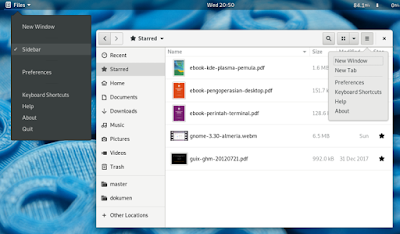 We Ubuntu users still need to wait 18.10 to use GNOME 3.30 this year. 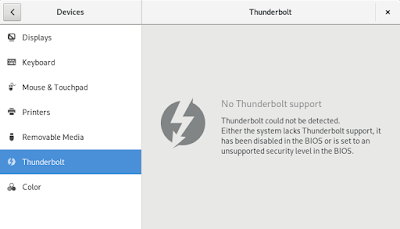 But anyone can test it at any time with either Fedora Rawhide or openSUSE Tumbleweed LiveCD. 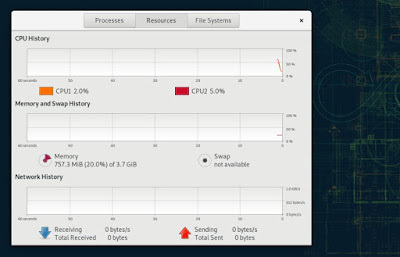 While the RAM usage is still high, except in openSUSE, today we don't need to worry anymore as it's better to have better computer rather than forcing it to run on a low-end one. The file manager becomes more attractive, there's new Podcasts app for internet broadcasting lovers, there's bunch of improvements in Games app, Settings, and others. Finally, what's the most amazing thing in this release is of course Builder with all of its abilities. We will have plenty of time until the next Stable GNOME 3.32 release planned on March next year. 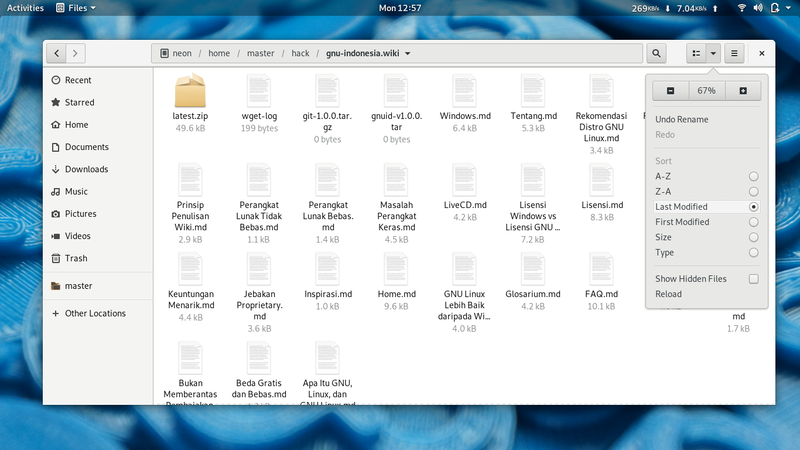 Enjoy GNOME 3.30! The 3.31 (Unstable) planned to be released at October 2018 while 3.32 (Stable) at March 2019. It's really exciting to wait them coming as now we can test new GNOME release earlier thanks to Rawhide and Tumbleweed.